Online courses can bring a huge profit for your business. But creating a successful online course depends on a few major factors: creative content, consistent branding, accurate online course pricing, and passion. Jules Clancy, my guest for this episode of the 10X Profit podcast, transformed her passions for minimalism, cooking, and recipes into a thriving online business with online courses. 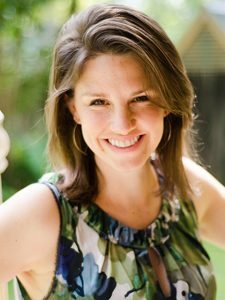 She began the Stonesoup website in 2005 and now runs a successful blog, online cookery school, and develops countless videos, e-books, and articles. She explains how to use fair, yet profitable online course pricing strategies to maximize your success. She also shares why an open/closed model for online courses can increase your profits while maintaining high engagement levels with your followers. You’ll be inspired by her journey, so be sure to listen! [41:40] Taking deliberate, focused action conquers the fear of failure! Stonesoup began as a passion project and now is a profitable blog – hear the full story! What began as a love for great food and easy cooking quickly turned into a money-making venture for Jules. Showing others how to cook through online courses was one of the first ways she was able to monetize on her passions. Throughout her blogging and online course journey, Jules has learned that simply taking action conquers the fear of failure. If you’re feeling stuck in your business and need a dose of inspiration, you’ll appreciate this episode of the 10X Profits podcast! Jules’ online course pricing strategy is unique, but it works! 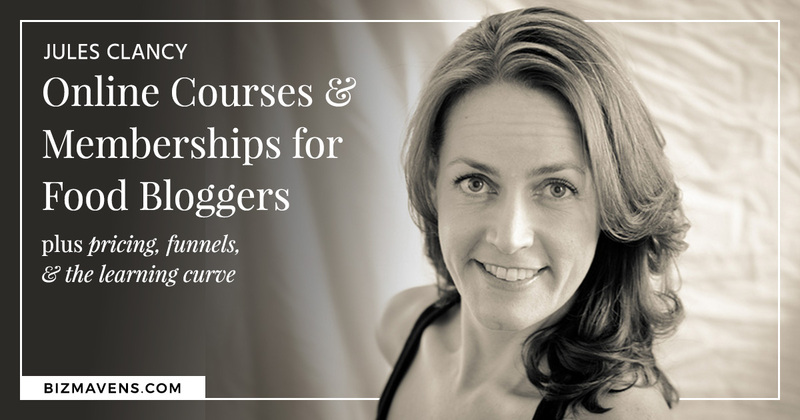 To the shock of many bloggers, Jules has avoided using any advertisements on her site – and that’s because her online course pricing strategy works so well! She isn’t afraid of charging more for a product that solves a customer’s need in an excellent way. You don’t need to be apologetic about making money! Jules has learned to price her online courses in such a way that she is able to utilize discounts and sales, which encourages her followers to take action on finalizing a purchase. Using fair and profitable pricing strategies allow you to keep your brand authentic, without having to rely on ad revenue. Jules also explains that you can explore creative marketing strategies such as bundling your online courses, combining e-books with time-sensitive online resources, etc. There are even more online course pricing strategies shared on this episode, so be sure to give it your full attention. The online cooking school offered through Stonesoup operates through an open/closed model. Rather than focus solely on sales and discounts to make sales, Jules opens and closes the doors to her membership-based content on a set schedule. She has found that creating a deadline encourages people to make a buying decision, it streamlines the onboarding process, and it makes your revenue more predictable. With these types of models, there’s an initial rush in sales when you open the doors for your product. Sales typically then drop off for a few days, until you announce the closing doors and there’s an uptick in sales again. Open/closed course methods prevent your sales from flatlining! Being scientific in marketing your online course is also essential. Jules explains that you should be tracking which marketing emails receive the highest click rates and how many people opt-in for a course waiting list. To hear all the details on this type of model, and why it works so well for Jules and her Stonesoup team, don’t miss this episode. Another inspirational podcast, I’m so glad I made the time to listen. Great to hear a fellow Aussie on the show too!